Wanted to share my latest DIY Craft Project- A Coastal Beach Style Flower Vase or Candle Holder...super easy and super quick. I needed to have a bit of a break from whatever it was I was doing and needed some creative breather. 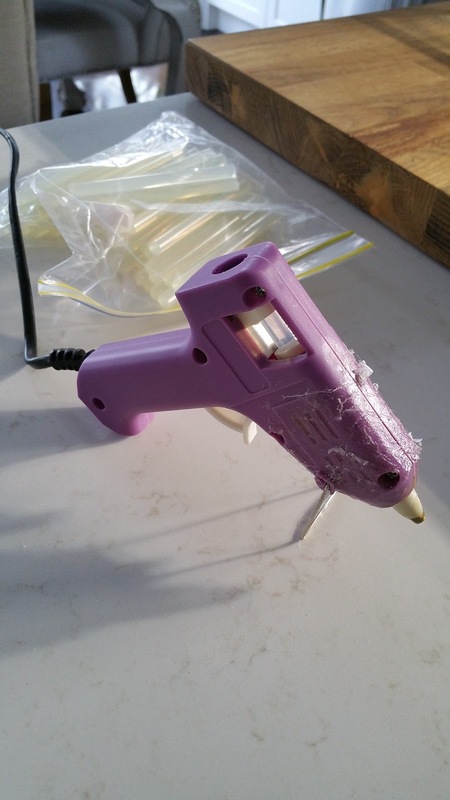 I've been slowly trying to organize the house by getting rid or repurposing old stuff. I found a glass cylinder flower vase stained from its previous use (orchid terrarium that didn't take off) and it's been tucked away in the back of my cupboard for a while. I also found some sisal rope lying around so I thought..lets give you guys some purpose. It took me about 30 mins to put the vase together because I already had all the materials at hand. 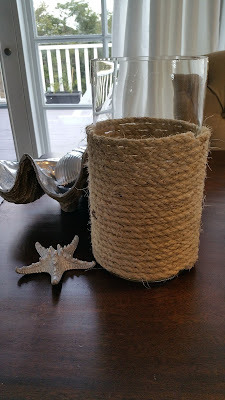 And lately I have been adding bits of coastal/beach decor in the home to add a slight coastal feel. Maybe because it's now winter and Hubby and I havent hit the surf since the chill kicked in...so I'm missing the beach, the sand between my toes and crashing waves a lot. 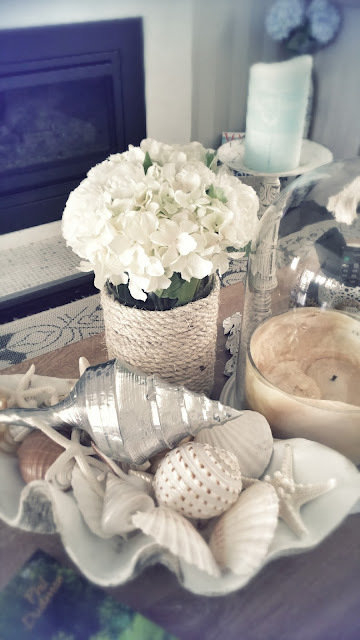 Since adding some coastal decor, it's certainly created even more of a relaxed feel in our home. It's been really easy to integrate in our home decor (french/vintage/hamptons) too..so this vase I put together fitted right in. Maybe come summer I'll fill it up with sand and put a pillar candle in there, or fill it up with my collection of seashells. 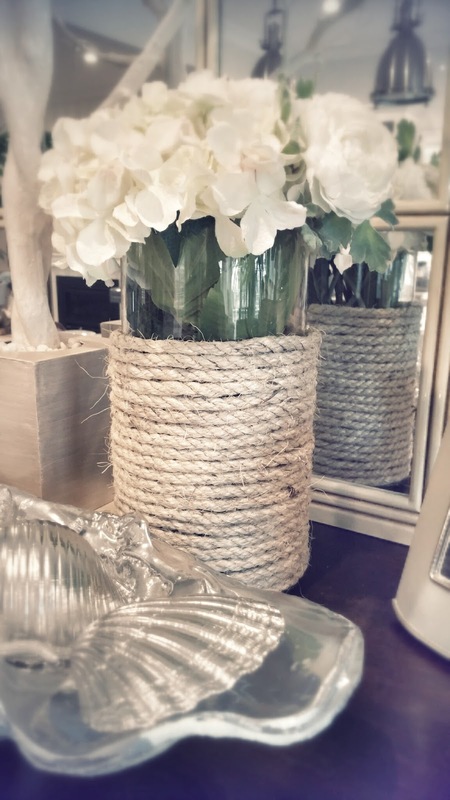 Sisal Rope from a Hardware store, length depends how much of the container you want to cover. Fill up with sand and pillar candle. Firstly, I hot glued the end of the rope to stop it from fraying, not ideal to singe it as you might start a fire. 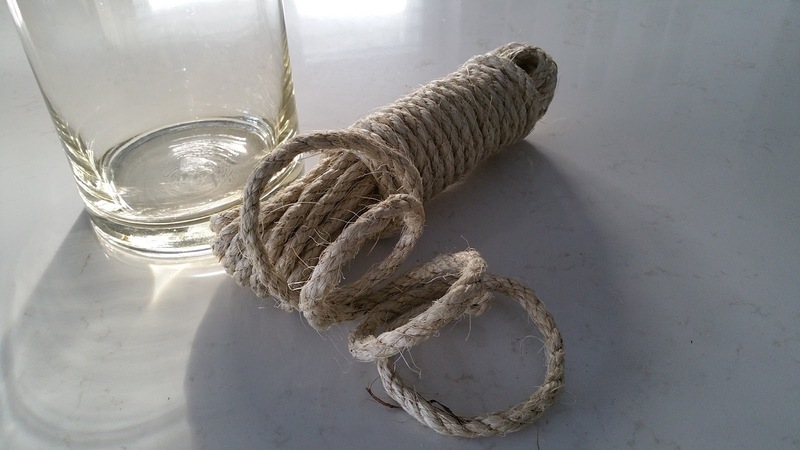 Then I did it again but this time glued it to the bottom of glass vase, then slowly wrapping the sisal rope around and around the vase, gluing it to the glass and partly to the previous line of rope as you go. 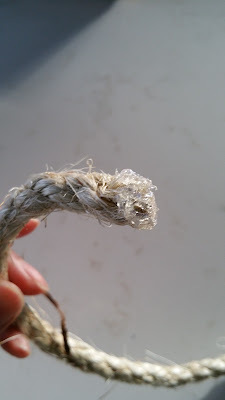 When you get to the other end of the rope, make sure you hot glue the tip also to stop it from fraying and then glue it against the glass and bottom layer of rope. In the end, all the rope should be well glued to the glass and taught. 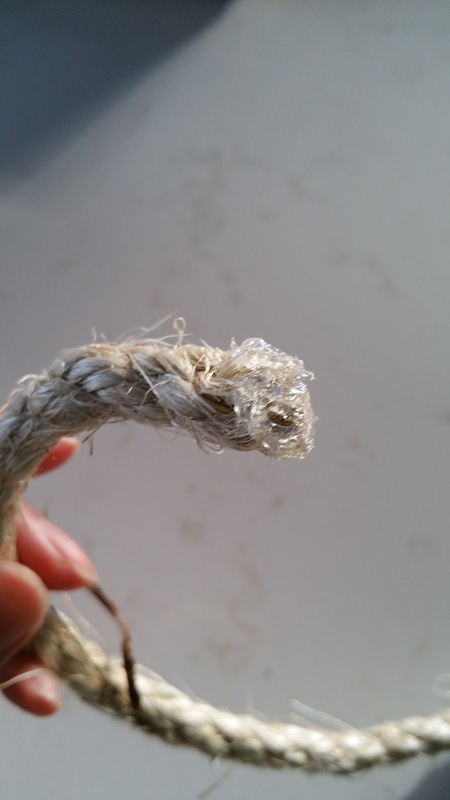 Any moving rope can be slightly lifted to add glue to the glass and then stick the rope down against it. I didnt cover the the vase entirely as I wanted to expose some of the glass on the top, besides the bottom of the vase was the only stained part and the upper was in perfect condition...so no flaws to hide there. Super easy guys! Deciding where to put it was the hardest part, mine settled on the coffee table next to my resin clam shell bowl which you can purchase from my store. It comes in a silver or gold interior as well.